Planning professionals know how to create a memorable event, including family reunions filled with suitable activities for everyone from toddlers to grandparents. Dallas Teague Snider, a professional meeting planner, offers ways to meet and greet your extended family with exciting activities at a fun reunion. 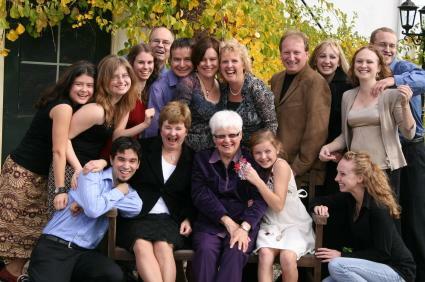 LoveToKnow (LTK): What are the benefits of planning activities for a family reunion? Why not just let everyone chat, eat and relax? Dallas Teague Snider (DTS): There are many reasons to plan activities for a family reunion. First, we no longer live around the corner anymore. Yes, the world is smaller through technology, but truly spending quality time with family has become something of a lost art. So often we get too busy with the demands of everyday life that we forget what is really important. With that, we also lose connection through distance and years. For example: If someone has a family reunion every five years, a lot can change during that period of time. A new marriage, new divorce, new baby, new teenager - the list goes on. Planning icebreaker events can be fun and can also help those that are shy or reserved take part in the "reunion" aspect of the day. If there are newcomers to the family, this is also a great way to make them feel welcome. LTK: How can planners make sure that guests of all ages, from the youngest kid to great-grandma, can participate in activities? DTS: Icebreakers and group activities should be able to include everyone. These can be conducted during a particular mealtime or you can choose to rotate the mealtime. It is important when researching activities that you are conscious of being inclusive so everyone can participate. If this is the focus, you are sure to make everyone feel welcome. LTK: What are your suggestions for fun family reunion activities? DTS: Depending on the location of the event and the time of year, it is always nice to plan a picnic day with outside activities for various age ranges. A local or state park can offer a nice facility that will not break the budget. Organized activities, such as softball or touch football, are always a nice option. Plan cheap family friendly games. A scavenger hunt is another fun option. An alternative way to conduct the search is with a camera - the participants have to find the locations or items and photograph them all. With the use of camera phones that could be easily managed. Of course, all this takes prior planning so that the day of the event is well organized. 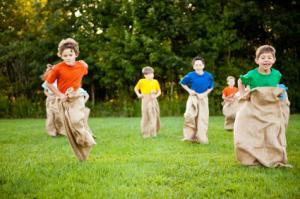 For smaller children, consider games like Simon Says or bag races where two children with their legs tied together run in a potato sack to get to the finish line. Creating teams and doing a talent show or a skit can also be a great way to get the entire family involved. Each family could present their skit during the final night banquet. LTK: Are there any activities you would advise families stay away from? DTS: I would advise staying away from activities that will limit anyone's participation from a financial standpoint. For example: Deep-sea fishing and golf could be fun for many; however they are costly and there may be those that feel left out since they cannot afford to go. It is best to conduct those outings either before or after the main event days so as not to alienate anyone during the reunion. LTK: In addition to the details you have already mentioned, is there anything reunion planners should think about before deciding which activities to include? DTS: As with any event, the planner needs to consider the overall budget for the event, including the means of the participants and what would make them feel comfortable. The location is also important in regards to costs for transportation, hotels accommodations and ancillary expenses. Contact the local Convention and Visitors Bureau (CVB) in your reunion city to determine what resources they have for family reunions. The CVB is a great resource that is often underutilized. They can also consider working with someone like me who outsources hotel contract negotiation at no cost to the client. Having the expertise of a certified meeting planner and former hotel executive, I can save the clients both time and money when selecting the hotel for their family reunion. The hotels pay the cost of doing business without inflating the rates which were based on national negotiated terms through ConferenceDirect. Dallas Teague Snider is a certified meeting professional, outsourcing site selection and meeting planning services to clients across the globe. She conducts keynote speeches, workshops and seminars for conventions and meetings about business etiquette, cross cultural awareness, and The Power to Say Yes. For more information on event planning and business etiquette, visit Dallas Teague Snider's website, Make Your Best Impression.